We will be happy to welcome you in our Nice Apartment. Bright and modern bedroom, living room with kitchen and comfortable couch make it an ideal space for couples or small group of friends up to 4 people. Enjoy the hotel feel, along with fully equipped kitchen, privacy of a flat and ideal location. In the apartment, you will find a double bed and a comfortable fold out couch. 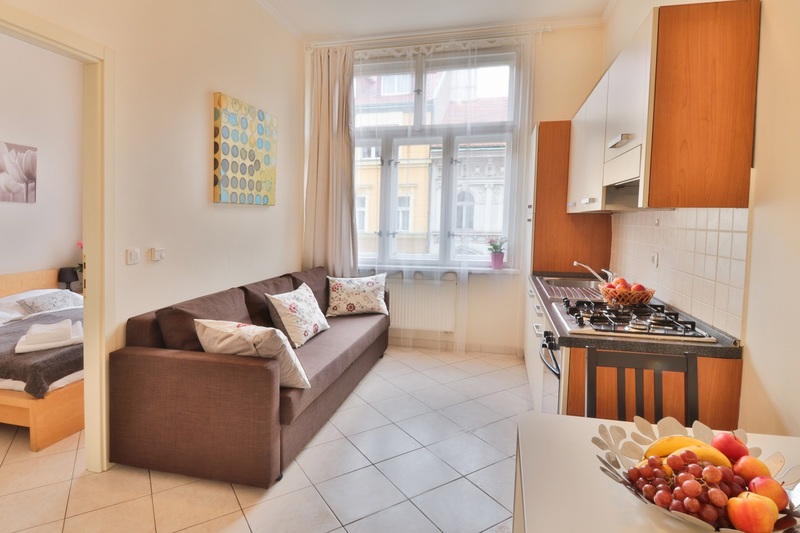 Good connection with a city center and nice location makes apartment is gem for sightseeing. I.P.Pavlova tram station and subway stop is a great hub for both underground and on ground transport. Otherwise, you will easily reach the city center by foot. Prague is city for walking! The building from XIX century is located in a beautiful district called Vinohrady, surrounded by historical houses from the most beautiful architectural eras. You will find yourself in a peaceful and lovely area with a lot of greenery, though only few steps away from the main historical sights. Little garden where you can spend some hot summer days enjoying ice cream is only one block away! Although the district is quiet, one will find a restaurant, bar, café or a club for his taste! In addition, plenty of fast foods are located on I.P.Pavlova tram stop: “KFC”, “McDonald’s”, “Starbucks”, “PAUL. 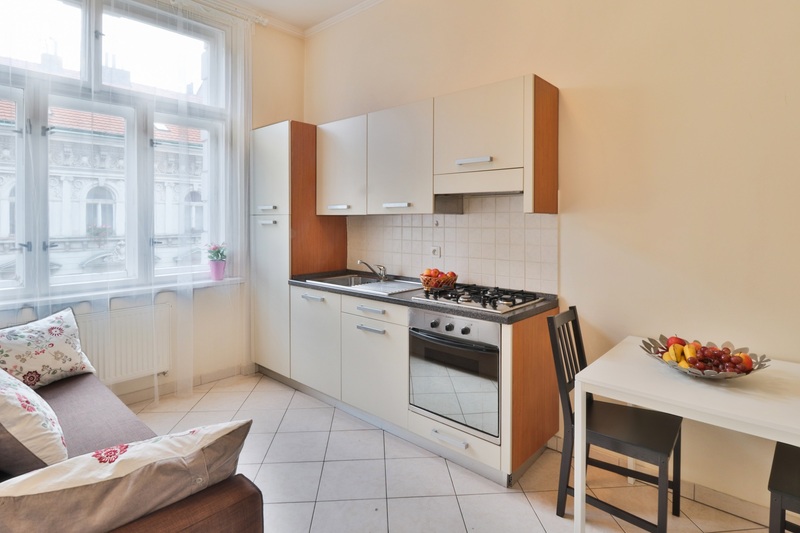 For those who prefer home-cooked meal we have a fully equipped kitchen: refrigerator, oven, stove, microwave, electric kettle, pots, pans, tableware etc. The closest grocery shop is only 100m away. If you travel by car, please note that public parking place is in front of the building and costs around 16€/weekday; weekends and state holidays are free. If you have any questions, feel free to ask us! We will organize a memorable stay in this amazing city for you! © 2015 Best of Rent. All rights reserved.